dip into lemon concentrate and brush onto each crescent. 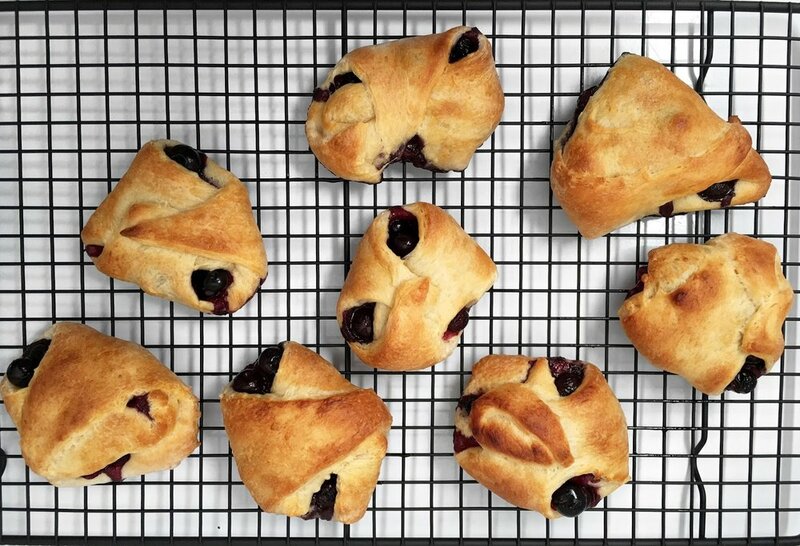 Add the blueberries in and Roll up each. 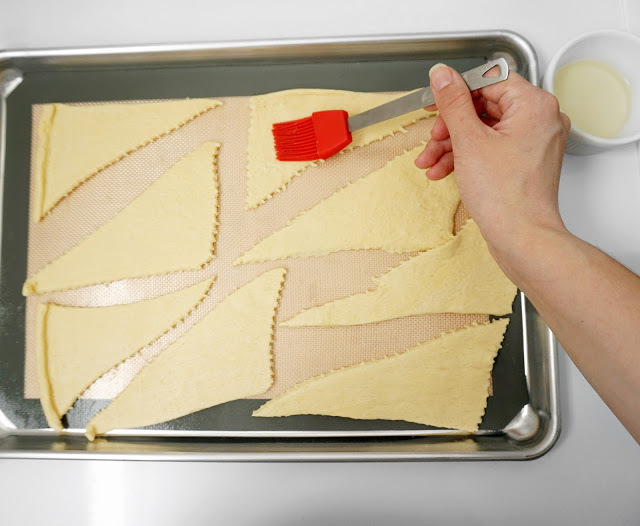 Starting at longest side; firmly pinch edges and ends to seal. Gently stretch each roll to about 10 inches. I bet you can do a better job than I did! Coil each roll into a spiral with seam on the inside, tucking end under. 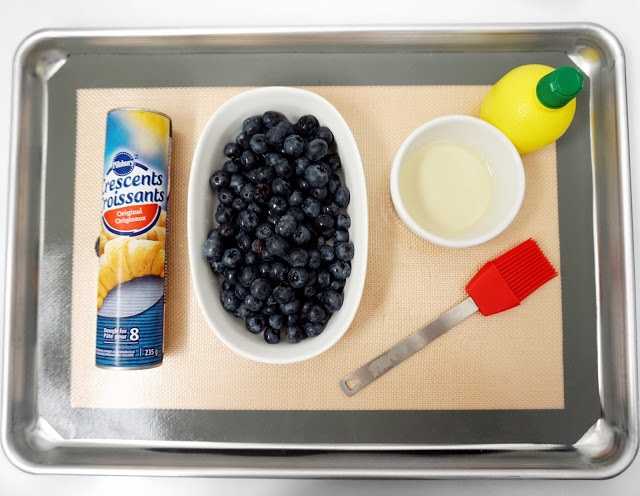 Take your pastry brush once again and brush on some lemon concentrate. I promise it will only leave a hint of lemon! Bake 15 to 18 minutes or until deep golden brown. IF you would like a nice glaze. in small bowl, mix glaze ingredients, adding enough water/lemon concentrate for desired drizzling consistency. Drizzle over warm rolls. Let the rolls sit to cool down & enjoy!